I've been sick all weekend so I have made quite a few new cross stitches! Here are 2 of them. "That's Money Honey" is another quote from Lady Gaga. 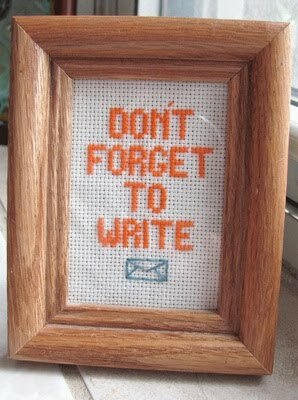 All the new cross stitches I'm doing will all be available to purchase at the Renegade Craft Fair! 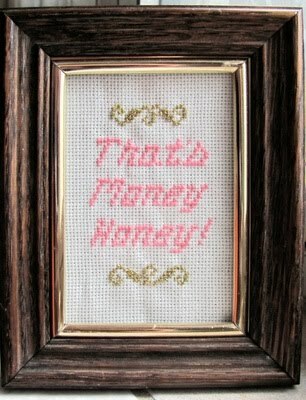 I would be cool to put "That's Money Honey!" on a wallet. I would buy that I think.